From Goodreads.com: "Formerly an up-and-coming magazine editor, Jenny Lipkin is now your average, stretched-too-thin Brooklyn mom, tackling the challenges of raising two children in a cramped Park Slope walk-up. All she really wants is to survive the sweltering New York summer with a shred of sanity intact. But when her husband, Harry, vanishes one evening, Jenny reaches her breaking point. And in a moment of despair, a split-second decision changes her life forever. Pulled from the brink by an unexpected ally, Jenny is forced to rethink her ideas about success, motherhood, romance, and relationships. But confronting her inner demons is no easy task. . ."
"The Mermaid of Brooklyn" was the perfect day for me to while away the afternoon with. I definitely got sucked into this book. 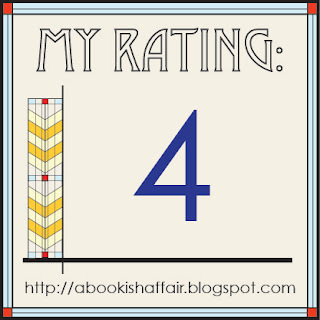 It's good fiction with a heavy dose of magical realism, an element that I absolutely love. It takes the ordinary and makes it fantastic. The main character, Jenny, is possessed by a rusalka (slavic for mermaid) when Jenny jumps off the Brooklyn Bridge. It has been awhile since I have read a book full of magical realism. The whole story is narrated from the point of view from Jenny, a harried stay-at-home mom who is abandoned by her husband who goes on a crazy adventure to gamble. Jenny is one of those characters that I really didn't care for at first but she grew on me once the magic started happening. Jenny freaks out when her husband leaves (rightfully so). She is already overwhelmed by her motherly duties and is suffering from post-partum depression. She is sent over the edge when her husband leaves even if she didn't think that he was particularly helpful in the first place. Throughout the book, Jenny ruminates a lot on things like what it means to be a wife, a mother, and whether or not she is happy in her own life and what she can do to be happier. She doesn't always make the best choices throughout the book (as an animal lover, I absolutely hated when she got rid of the dog; it made me so sad! ), but Jenny is definitely a character that you will be rooting for. I really liked Shearn's writing style in this book. This is the first book that I have read by her and I know that I definitely want to read more by her in the future. Having Jenny narrate the book really pulls you into the story. You get a first row seat to Jenny's failures and triumphs. I really think that it's the writing that helps to turn Jenny into a character that you want to read about! 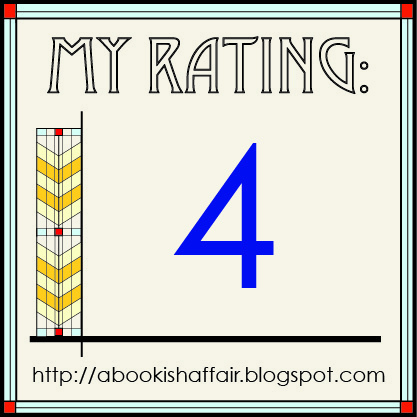 Bottom line: This is a good story for when you want an uplifting story about coping with a magical twist! 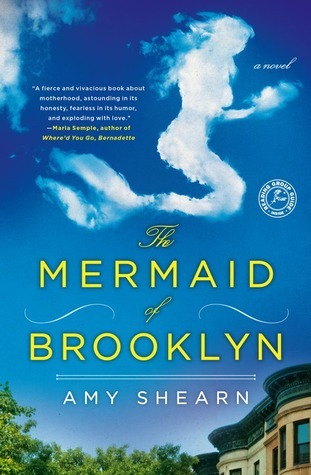 I want to read The Mermaid of Brooklyn to see how the mermaid helps her change. Different. Count me in, thanks. I love that book cover! And I do love me some uplifting stories especially if there is supernatural elements! It looks like a different type of story, mixing magic with the hard realities of being a mom. What an interesting cover! I'm not sure how the mermaid fits into the story, but since I read all things 'mermaid' I'm going to give this a try! I love a feel-good-ending! Glad you enjoyed this one.